Instagram is still important in your marketing strategy, users 25 and older spend more than 24 minutes a day on Instagram! I can pretty much guarantee I spend more than 24 minutes on the platform. One thing I am not good at is writing captions on the fly, I like to type them out on my computer and schedule them out in advance. Personally I find this less overwhelming. A few years ago, I wrote a post comparing three Instagram scheduling apps and I chose Later as the best at the time! Over the years Instagram has changed and Later has continued to evolve and get even better. I am still happy with Later today. As soon as I take new images or download stock images I add them to the media gallery on Later. I then label the images into different categories so I can filter and sort them later. Once the images are uploaded and labelled, I can easily sort based on the type of post I am drafting. Later also automatically categories images as Un-Used or Used. And if you’ve used the image before, there will be a number in the bottom corner of the image showing how many times you have used it. All the social images are stored in one place making my life super simple. I drag 5 images onto each day of the week and select the posting time based on when my audience is most active (hint: you can get this stat in the insights section of your Instagram app). After dragging and dropping the pictures onto the calendar I look at the preview version of my feed. Making sure the images are cohesive and match the theme I am going for. In the past I tried to post 1 flatlay images and then 1 non-flatlay (scenery, person, etc). Lately I am posting one picture of myself and then the next a flatlay/scenery image. Because pictures with faces get 38% more likes! 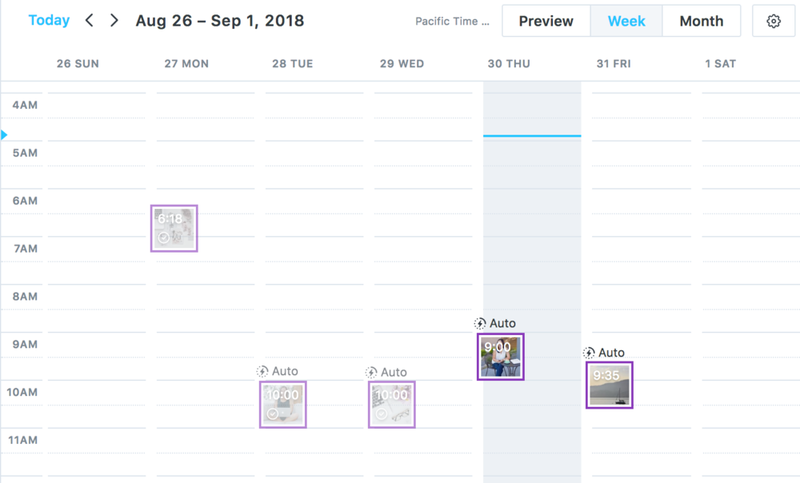 I schedule a few weeks of images onto the calendar (leaving the post setting to Notification) , then make sure they are cohesive and then go back to add the content later. I usually will do all the content for the week at one time, trying to keep a theme or relevant to what I am working on at the moment. I’ve tried to write the captions more than a week out, but I find it difficult and not as relatable. Instead I make it a weekly habit to go and write the captions. Once the caption is written I change the post setting to Auto and I’m done. Later will AUTOMATICALLY post the image to your feed and send you a notification that it was posted. Then I monitor the post for comments and engage as needed. I find this the best way to manage my own Instagram, it keeps content regular and consistent without overwhelming me. When the caption isn’t written I spend most of the day feeling guilty that I haven’t “followed” my schedule and can’t think of a caption to write. Which leads to further procrastination and guilt! 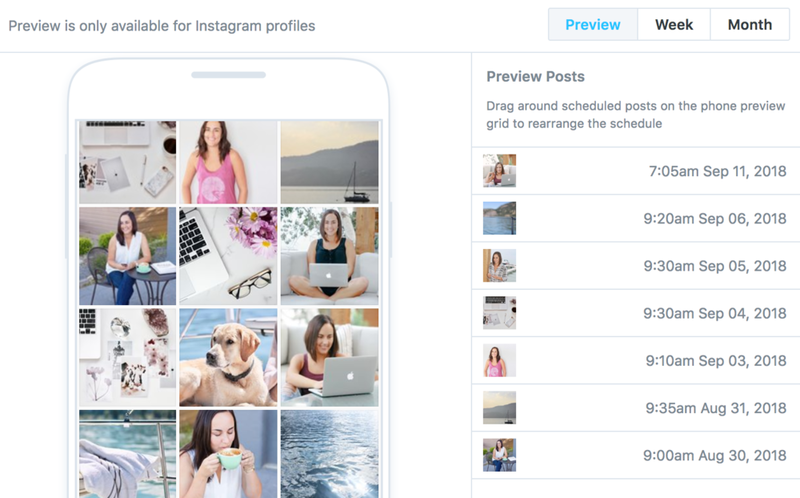 Do you schedule your Instagram feed posts? Which app do you use? 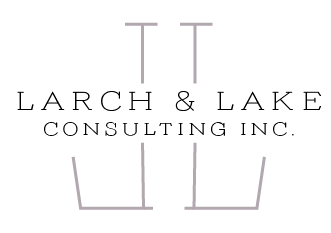 Business TipsCarolyn Mann September 18, 2018 Larch & Lake Consulting Inc.